My dad's Aunt Marion was always put together -- white shirts, black slacks, dyed red hair, and lipstick. She would probably qualify for a spot on the Advanced Style blog. I remember her as being petite, though I suppose you're always short when you're married to a man who was well over six feet tall, even into his eighties. But like any good Texan, she went big when it mattered. Aunt Marion had large, turquoise charms with big bales that could be slid onto necklaces and wires. And she had huge turquoise rings. They were as long as her fingers, and she always wore more than one. 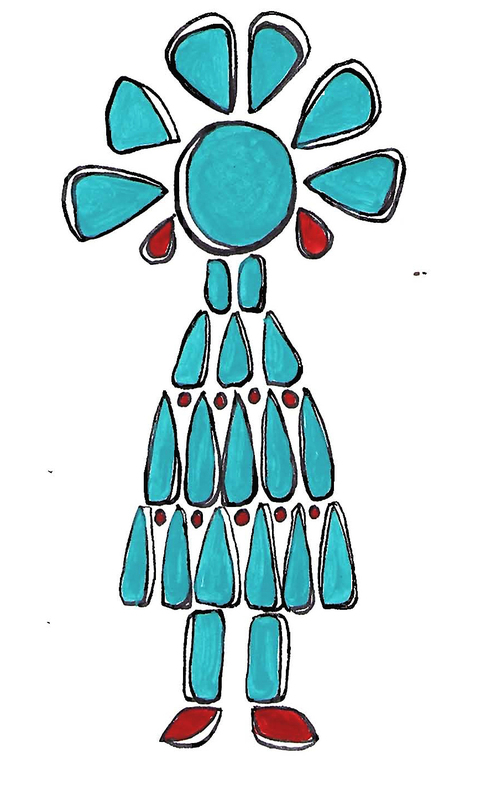 My favorite one was made of turquoise stones that had been cut and set into the shape of a woman.